In recent surveys preformed by The White House Office of National Drug Control Policy (ONDCP), 59,100 or 19.5% of New York's 303,095 state residents who admitted themselves into treatment for heroin. Not including the 89,075 state residents who admitted themselves into treatment for either opiates or more than one drug. Studies also show that 1 million or 2.65% of New York's citizens reported needing but not receiving treatment fort illicit drug and alcohol use in the past year. Surveys indicate that 1.6% of high school seniors polled had tried heroin at least one time in their lives. Heroin is readily available from Colombian and Dominican organizations operating in the New York metropolitan area. Most of the heroin available is of South American origin and Colombia-based traffickers bring some of the purest heroin in the world to the streets of New York, utilizing the same distribution methods and money-laundering techniques they perfected in capturing the cocaine market. In some cases, the same organizations are distributing both cocaine and heroin. Much of the Colombian heroin is smuggled into New York by couriers and ingesters arriving at JFK Airport, on direct flights from Colombia, or after stopovers in Central or South America, or the Caribbean. Colombian heroin trafficking organizations have also developed increasingly sophisticated smuggling methods, including use of cargo shipments, soaking heroin into clothing, secreting them in shoes, furniture, and golf bags, as well as chemically impregnating heroin into plastic, which is then molded into common shapes. The heroin is subsequently recovered using chemical extraction processes. In February 2006, the arrests of 22 Colombian nationals who were responsible for smuggling over 20 kilograms of heroin into the United States were announced. Members of this organization used varied and unique concealment methods to smuggle over 20 kilograms of heroin into the United States. One method included the use of pure-bred puppies that had heroin packets surgically implanted in them. In one instance, six puppies were found impregnated with a total of three kilograms of liquid heroin packets. Colombian heroin is also smuggled to New York via Mexico and then by vehicle from the southwest United States, similar to the cocaine route. The heroin trafficking and abuse problem is increasing in upstate New York. Dealers in upstate regions often buy heroin in New York City and then return to their home areas via auto, bus, or train. Currently, some of the high-purity products are finding their way directly to users who are often unaccustomed to the strength. In July 2006, BAZ MOHAMMAD, the first Afghan heroin kingpin ever extradited from Afghanistan, pled guilty to conspiracy to import heroin into the United States. President George W. Bush previously designated BAZ MOHAMMAD as a foreign narcotics kingpin under the Foreign Narcotics Kingpin Designation Act, which authorizes the President of the United States to make such designations when he determines that a foreign narcotics trafficker presents a threat to the national security, foreign policy, or economy of the United States. Afghanistan President Hamid Karzai authorized the extradition of BAZ MOHAMMAD to the United States in October 2005. Are you or a loved one searching for treatment for Heroin addiction? Stop! Treatment doesn’t work for Drug addiction. In fact the number of people admitted for Heroin treatment were 79,350 in New York and keep climbing every year. 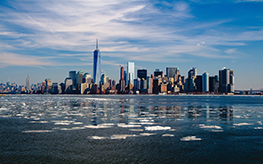 When you live in New York, finding the right Drug addiction treatment can seem difficult. You know you want a program that works and will last. You know you don’t want to end up in a cycle of relapse and return. What isn’t counted in the rates of Heroin addiction are how many of these admissions are people who relapse and return to treatment. Unfortunately, most people choosing traditional treatment will follow a cycle of relapse and return to treatment over and over again in their lifetime. Relapse rates for Heroin addiction are 77.3% or 61,338 real people who are on the treatment treadmill. Research shows clearly that treatment doesn’t work. If treatment doesn’t work, what can you or a loved one do to end the cycle of relapse for Drug addiction? 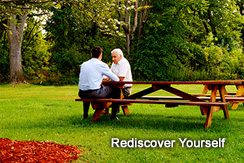 Freedom Model Retreats is a completely non 12 Step solution that really works! When most people in New York think of ending addiction, they don’t want to sign on for a lifetime of treatment but they have been told that is the only way. Freedom Model’s Non 12 Step is the solution because it ends the cycle of relapse and helps people move confidently forward in life beyond addiction. By focusing on freedom of choice, personal responsibility, empowerment, and building a concrete plan for pursuing real fulfillment, Freedom Model Retreats can help you or a loved one with an effective self-directed approach. Isn’t it time you or your loved one ended their cycle of pain and stopped throwing precious time and money away on treatment that doesn’t work? Call Freedom Model Retreats today for the only truly non 12 Step solution to relapse. Your Life can only be as good as the choices you make. Don't let Heroin Addiction Ruin Your Life. Call Today, we have helped many people from New York find meaning to their life once again.